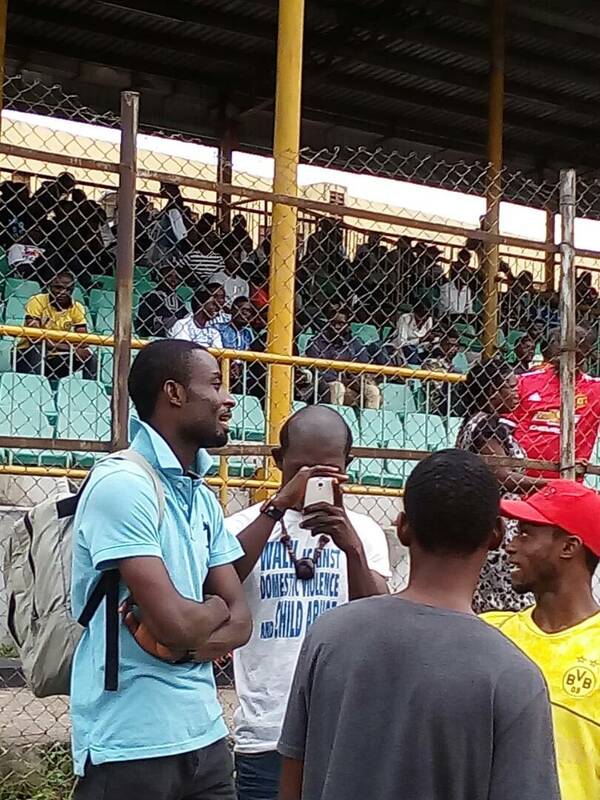 Yaba College of Technology (Yabatech) Students are at their best as each department of the different nine schools came out to show their best skills in football matches in respect of the departmental week that has been on for some time now. School of science students on Friday 20th of October played it football match, the match was between the school of part time and the full time engineering department. School of part time is name coined due to the fact that random selection of players were made from all the department in the school the game ended with a draw leaving both team with no goals. The school part time emerge the winner of the game with five goals and the other team had only one goal. While, the Association of Mass Communication Student (AMACOS) on Tuesday 31st of October started its matches, the opening game was between the male students of the school National Diploma I part time (ND1 P.T) against ND1 full time (F.T) and the students won with two goals and their opponent had no goals. Afterwards, ND 2 part time students play with ND 2 full time students, the part time students as the winner of the match with one goal. Also, on Wednesday, 1st of November AMACOS men continues their game starting with the ND1 against the ND3 as the ND 1 maintain their ground winning their game with two goals and their opponent had just one goal. The ND 2 also played against the Higher Diploma student I (HND 1) students ending the game with one point the penalty ended in the favour of the ND 2 as the winner of the game with two goals and their opponent made only one goal. However, today Thursday, 2nd of November marks the end the great AMCOS football matches. The final game was between ND1 part time and ND2 part time. The ND 1 students emerge overall winner of this year departmental weekly activities with one goal and their opponent had no goals while the ladies games with three goals won by the by the ND 2 as the winner of the girls game of this year departmental week while ND1 Had no goals.